I'm 23 years old I studied Fine Arts college I was really into traditional painting and drawing for a period, but I wanted of do more. I felt that my creativity pushed my art vision for a need to a more technical part to it such as a design process from a sketch to a finish product, I've never thought about any design involvement as a part of my art before or while in college studying Arts. I've had a different perspective about even fashion at that time so at first, I started working in Architecture Design, Advertising and 3D Animation Movies. Ever since along the way Fashion was there for me somehow, I've always been connected to it, I always have a different approach, perspective and matter to say on a particular trend, style or a piece from a design point of view. With that in mind now after few years in the Creative field, I've decided to switch from everything else to dedicate my full time to work and to and expose my Fashion vision to the World. Since I'm in London I've been a really Hustler and a GOAL DIGGER towards it, my inspiration and creativity it's finally taking shape every day more than ever now, as I believe that my vision has it's own unique identity and having a positive feedback on Social Media on my concepts and designs, my goal now is to bring them out there to life on Catwalk and High Streets ! Our readers would love to get to know you more Nick. Tell us about yourself, what is unique about you? I'm a Dreamer, with a powerful Active Imagination and since I'm a Fashion Designer now everything involves me or my future is towards Fashion to create, expose and explore. Nick, what are your passion and aspiration in life? How did you start as a Designer? My aspiration and passion are to see that my creativity in my Fashion Designs I create is benefic, different it is enriching and creates a mood and Lifestyle for everyone around who wish to feel, be and to express themselves. I started as a Designer from the need of really complementing the full aspect of a Design to make it more inconstant but bespoke in the same way. Who is your inspiration in life Nick? How do you keep inspired? Everything who surrounds me comes as my inspiration, starting with people their lifestyle and their needs as their communalities to their individuality. We all make mistakes Nick; we wish we could take back. Please tell us about time being a Designer, you wish you’d handled a situation differently with a colleague. By being a Designer and create for and with people you don't work against them, you work with them. Nick , when you’re working with a large number of clients, it’s tricky to deliver excellent service to them all. As a Designer, how do you go about prioritizing your clients’ needs? To use their individuality and their perspective in that creativity form of expressing themselves as the main asset. 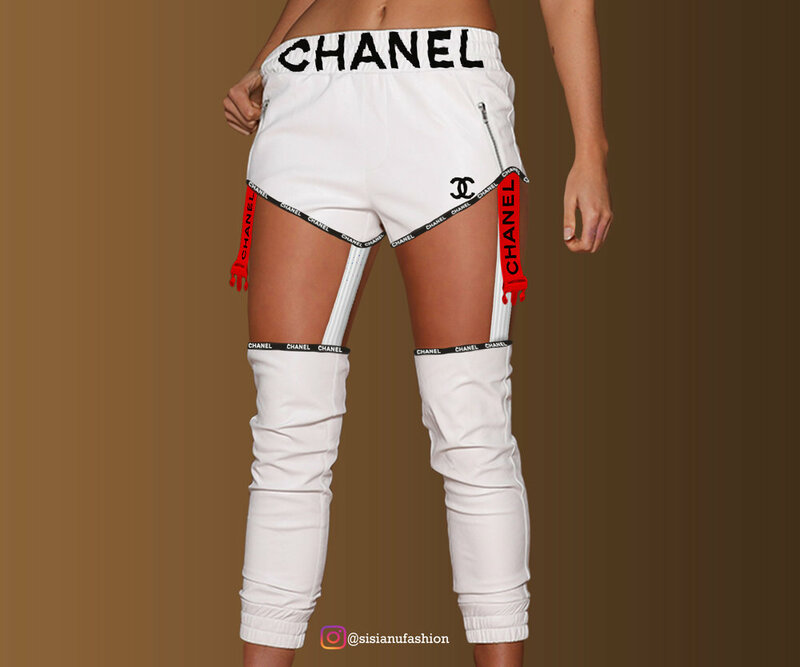 Yes, recently I've taken upon some revamp designs on Burberry and Chanel and used their traditional main Design Characteristics and adapted to the current trends and a more versatile approach to a more extensive base of brand followers. Now for the best part Nick! Please upload 5-10 photos so we can get to see your work.